Anti fracking demo outside Parliament. The BBC reported this week that the UK’s shale gas deposits is estimated to be far larger than previously thought. Shale gas is being extracted by the controversial fracking method which in the USA has caused groundwater contamination and toxic water pipes. In the UK, test drilling has been reported to cause minor earthquakes in Blackpool, Northern England, but after a review the government have now given the go-ahead for this controversial energy extraction, angering environmentalists. If these latest estimates are to be proven correct, it seems that environmentalist could no longer use the excuse that reserves are minimal and it could not make the UK energy gas independent. The new research shows that if we are to see a mass fracking revolution, the UK could become self sufficient on gas for at least the next decade. But maybe it’s a more tempting question to ask why the UK is so keen on a gas future and infrastructure, and why they have not made research into alternative gas sources such as gas made from waste, which along with geothermal and solar thermal could go a long way to reducing the need for gas to heat our homes, cook and provide hot water. To further lessen the need for gas we should look at phasing out gas cookers and electrify them, gradually also electrifying heating. But instead of this the UK government is doing the complete opposite by becoming even more reliant on gas and 40 new gas fired power stations are currently in the planning, locking the UK into a gas future. A gas future that makes it extremely hard to decarbonise the energy sector by 2030 as it’s argued it is needed to have any hope of meeting the UK’s legally binding climate targets, unless Carbon Capture and Storage (CCS) was rolled out on a mass scale, which at the moment seems extremely unlikely. Even if it was, we don’t know that it would work. But why is gas bad? It is being heralded in some cases as a transition fuel to renewables and some are even labelling it as a low carbon energy source. Gas is the lesser of the three evils with the worst being coal and oil. But by undertaking fracking we’re adding more fossil reserves that we cannot afford to burn to stay within a 2 degree target, and we’re not sure yet of the total emissions by fracking – it is estimated that it has a higher carbon footprint than natural gas. In a Rolling Stone article published last year author, environmentalist and founder of environmental campaign group 350, wrote about three numbers: 2 degrees; the number agreed upon 191 of the world’s countries that is what we must limit warming too to have a chance to avoid runaway climate change. The second number 575 gigatons is the amount of carbon we can continue to pour into the atmosphere to stay below 2 degrees. Finally, the last and most scary number of them all 2795 gigatons, which is the amount of proven fossil fuel reserves which are now being traded on international markets and of which we can only burn a fifth of, if we are to stay below 2 degrees. 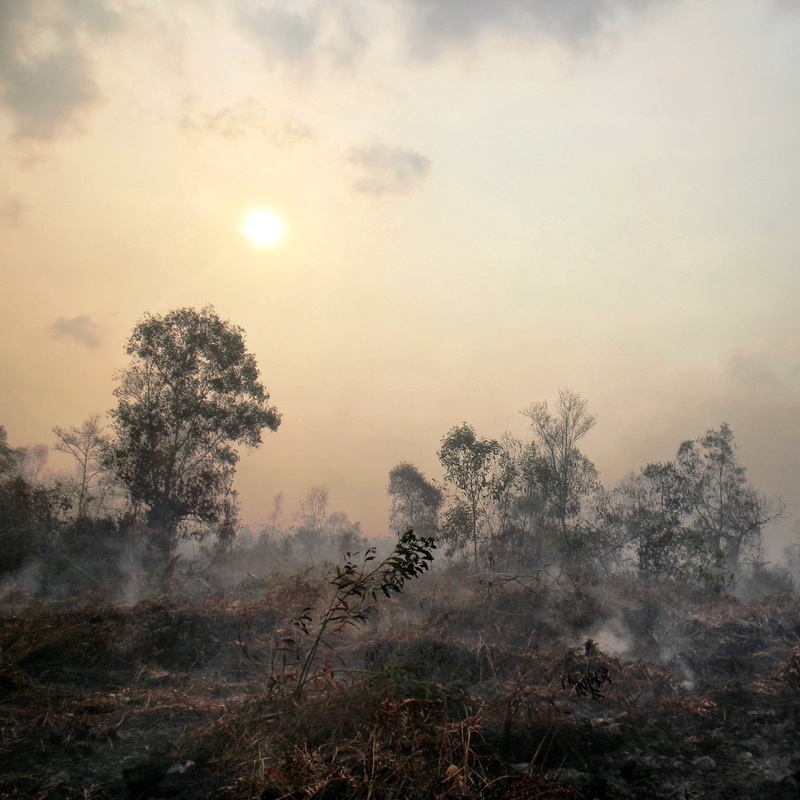 The organisation Carbon Tracker have dubbed this unburnable carbon. Bill Mckibben’s claims have been echoed by authors Duncan Clark and Mike Berners-Lee in their new book, The Burning Question. New sources of carbon, like new resources of shale gas discoveries for example the ones in the UK, will add to the large scary number of 2795. Moving forward with fracking in the UK will endure a risk of lost investments and would not result in boosting the UK economy. 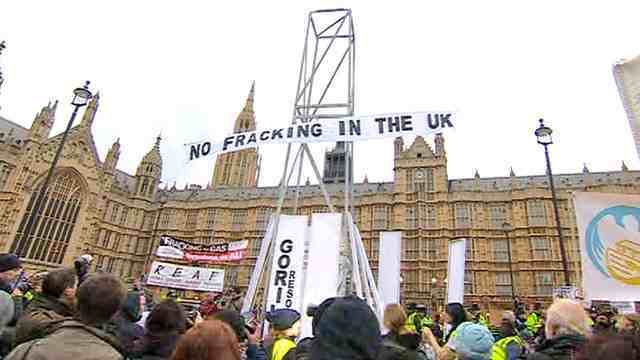 Even before fracking has begun in the UK it has already started a big protest movement which will add to the delays to the energy companies who undertake fracking, enduring more costs. I have argued countless times for the benefits of renewable energy for the UK economy, an aggressive approach to this is what we need, not an aggressive gas strategy.